It’s been called by many names: Tecumseh’s Curse, the Curse of Tippecanoe, the Zero-Year Curse, the Twenty-Year Curse. No matter what you call it, it’s not true; however, the presidential legend remains intriguing. The legend is associated with the fact that every president elected in a year ending in zero – from William Henry Harrison to John F. Kennedy – died in office. Let’s take a closer look at the presidents elected in each zero-year. 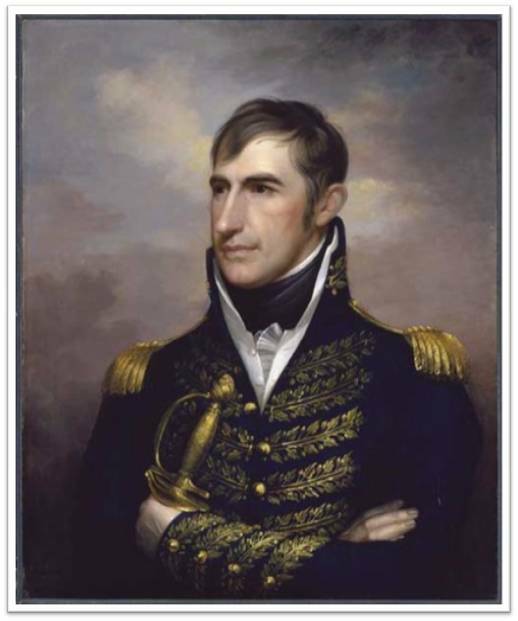 1840 Election: William Henry Harrison died in office of pneumonia (or maybe enteric fever). 1860 Election: Abraham Lincoln was assassinated by John Wilkes Booth in Ford’s Theatre. 1880 Election: James A. Garfield was assassinated by Charles Guiteau in a Washington, D.C. train station. 1900 Election: William McKinley was assassinated by Leon Czolgosz in Buffalo, New York. 1920 Election: Warren G. Harding died most likely of a heart attack (or possibly ptomaine poisoning). 1940 Election: Franklin D. Roosevelt died in office of a cerebral hemorrhage. 1960 Election: John F. Kennedy was assassinated by Lee Harvey Oswald in Dallas, Texas. 1980 Election: Ronald Reagan lived. He was shot by John Warnock Hinckley Jr., but survived. Curse over? 2000 Election: George W. Bush lived. It all started with Tecumseh and William Henry Harrison. Those who attempt to make sense of these eerie twists of presidential fate have come to blame a Native American curse for historical coincidence. The curse isn’t true, but the real story is significantly more interesting than the legend. Let’s start by taking a look at Tecumseh’s life. Fictionalized painting of Tecumseh in a British uniform from the late 1800s. No authenticated portrait of Tecumseh exists. Tecumseh was a remarkable Native American leader born circa 1768. He was a Shawnee Chief from the Ohio River Valley who envisioned a vast Indian Confederacy. He aimed to protect the Ohio River as a border between Native Americans and American settlers. Throughout the early 1800s, Tecumseh and his brother Tenskwatawa (The Prophet) traveled extensively among tribes, from Wisconsin to Florida. Tecumseh was an excellent speaker, and he convinced many tribes to join his cause for Native American unity. By 1808, a significant number of Native American warriors gathered under Tecumseh’s leadership. Around this time, Tecumseh and Tenskwatawa founded Prophet’s Town at the junction of the Wabash and Tippecanoe Rivers, near present-day Lafayette, Indiana. Prophet’s Town became the site of a large confederacy of midwestern and southern tribes, assembled to stop American settlers from spreading into Native American lands. In early November 1811 Harrison organized a group of one thousand men and arrived outside of Prophet’s Town. 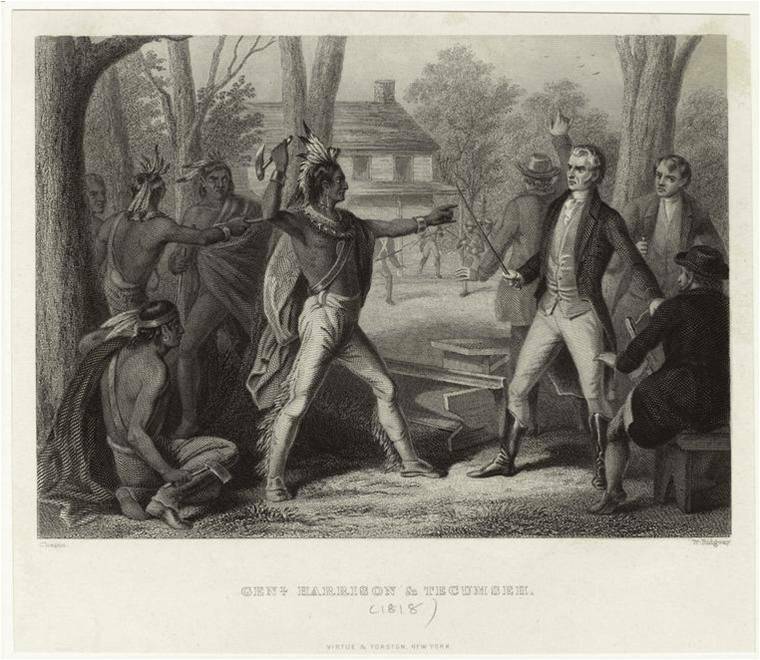 While Tecumseh was gone to recruit more allies, Tenskwatawa ordered an attack on Harrison. However, the Native American forces under Tenskwatawa were eventually overtaken. After the defeat, the confederacy at Prophet’s Town dissolved. This was the beginning of the end of Tecumseh’s Confederacy. 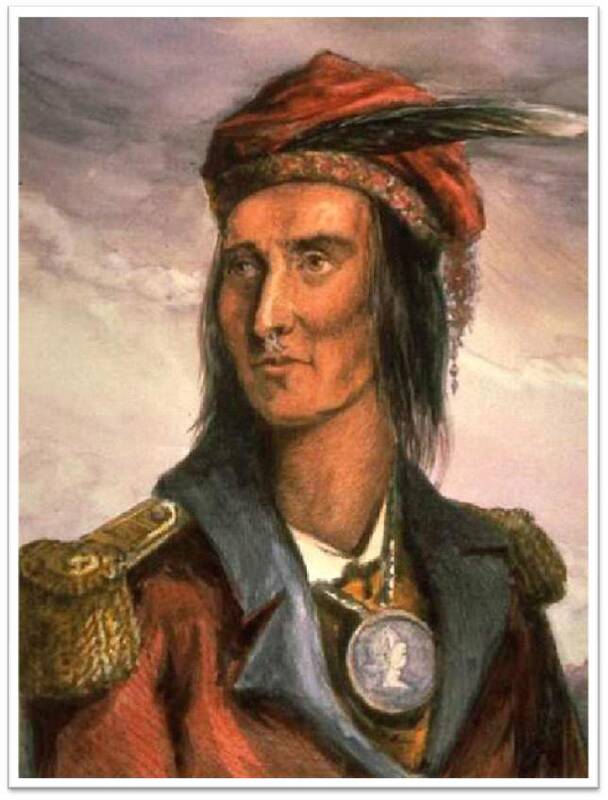 To gain more power for his cause, Tecumseh and his allies sided with the British in the War of 1812. Fighting alongside the British in the Battle of the Thames in Ontario, Canada, Tecumseh was shot and killed in October 1813. His body was mutilated, and he was buried in a mass grave near the battlefield. After the death of Tecumseh, the Native American Confederacy disintegrated, and the end of the War of 1812 did nothing to stop the flood of American settlers moving into the Ohio River Valley. Ultimately, Tecumseh’s dream of a confederacy was short-lived, but his leadership and words affected many generations. Years after his encounters with Tecumseh, William Henry Harrison was elected president on the Whig ticket. During his 105-minute inaugural address on a cold, blustery March day in 1841, “Old Tippecanoe” refused to wear a coat or gloves. He fell ill shortly after the speech and died on April 4, 1841, most likely from pneumonia. Including Harrison, every president elected in a zero-year died in office from 1840 to 1960: Harrison (1840), Lincoln (1860), Garfield (1880), McKinley (1900), Harding (1920), Franklin Roosevelt (1940), Kennedy (1960). Ronald Reagan escaped the Curse in 1981 when he was shot by John Hinckley Jr. The assassin’s bullet lodged in Reagan’s chest, missing his heart by inches. The only presidential death that discredits the twenty-year cycle of the Curse was Zachary Taylor who died in 1850 after consuming bad water, milk, or cherries (His exact cause of death is unclear). What about the presidents elected after 1840 who survived assassination attempts and were not elected on zero-years? This list includes: Theodore Roosevelt, Harry S Truman, and Gerald Ford. The curse isn’t true, but the legend lives on. It is true that Tecumseh was an extraordinary leader and deserves a significant place in American history. 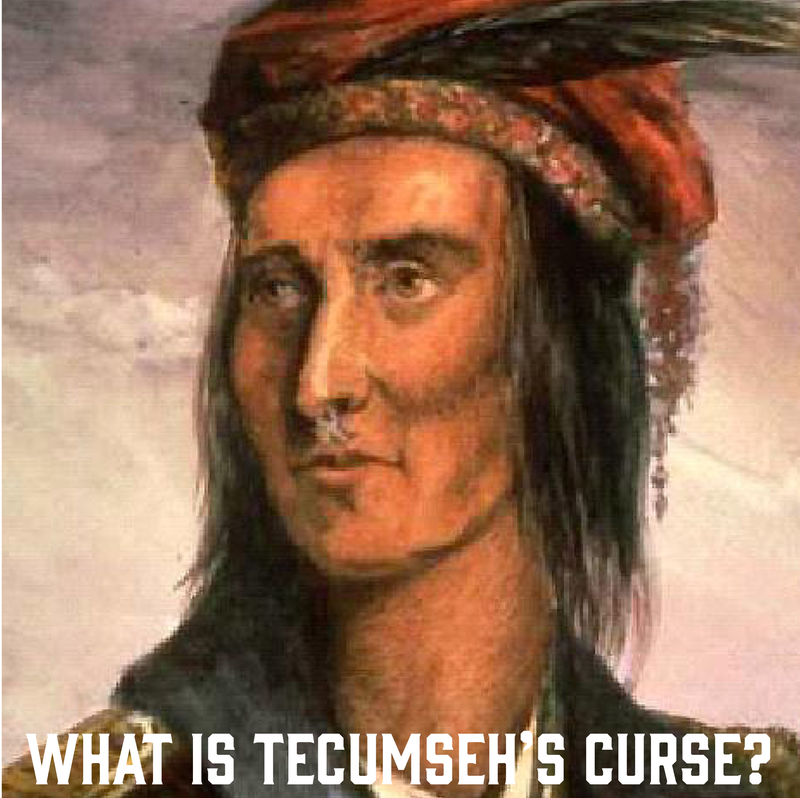 Although the curse is really a long string of unfortunate events for seven unlucky presidents, Tecumseh’s Curse remains a captivating story full of historical intrigue. Johansen, Bruce E., and Barry M. Pritzker. Encyclopedia of American Indian History. Santa Barbara: ABC – Clio, 2007. O’Brien, Cormac. The Secret Lives of the U.S. Presidents. Philadelphia: Quirk, 2004. Previous Post Who is your favorite president? Next Post What is written on Thomas Jefferson’s gravestone?